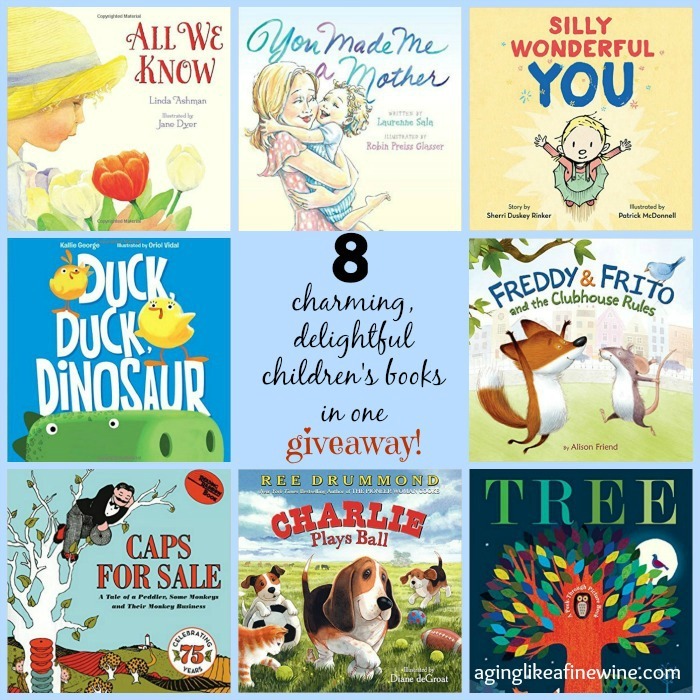 Eight charming, delightful children’s books in one giveaway! Do your kids love to read or be read to? Running out of children’s books to read? If the answer is yes, this is the perfect giveaway for you! It consists of 8 books to delight and entertain your little ones! The first three books are wonderfully written stories of the unconditional love of mothers for their children. They are dedicated to mothers everywhere and just in time for Mothers Day! This book is a touching, heartfelt celebration of motherhood! The story of a mother’s unconditional love for her child is beautifully told. It is the perfect gift for a mother or mother-to-be. It is a precious story that speaks to every mother’s heart! If you are the parent of a toddler this book is a must for you! It is a funny and loving letter from a mother to her busy, active child. Rinker depicts the daily challenges of parenting, but also the daily fun of parenting in this delightful book you will love! Three eggs in mama ducks nest begin to wibble and wobble. Then crack, crack, crack…one baby duck, two baby ducks and a baby dinosaur!! A sweet little story of loving each other, differences and all! This book is a beloved classic that has been entertaining children for 75 years! It is the humorous story of a peddler, his caps and a group of very mischievous monkeys. The peddler’s efforts to outwit the monkeys delights children and teaches them about problem solving. Freddy & Frito are friends that play together every day, but there are rules at their homes and they’re tired of rules! So they decide to build a clubhouse in the park where there are no rules. They soon wish they were back at home where rules abound! This delightful series is written by Ree Drummond, known to most of us as The Pioneer Woman! Charlie is the King of the Ranch and stays busy napping, eating and napping some more! But somehow he manages to work playtime into his busy schedule! Wonderful book, delightful pictures and a recipe from The Pioneer Woman! Children love peek-through holes in books and this one is no exception. A wise owl invites your child into his tree to explore all of its forest inhabitants. With the turn of each page the book reveals a new set of forest animals playing and living in the tree! Enter this special giveaway below by clicking on the giveaway link. Good luck to you! I’ll be sharing this post on the lovely link parties found on my “Where I Party” page! The winner of this giveaway for 8 children’s books is Jenn F! Congratulations Jenn and thank you for entering. My boys love Pete The Cat books and Dr. Suess. Hi Cami, Thank you for stopping by! Those are both very popular choices! Those days of reading these kind of books to my boys are behind me (they now tower over my head! ), but I enjoyed the wistful feeling these titles brought to me. My children are all adults and tower over me as well, so now I get to read the cute books to my grankids! Thank you for stopping by! Green Eggs and Ham, or Cat in the Hat, or One fish, Two fish , Three Fish Blue fish. I loved all of the Dr. Seuss books . Although we had every little golden book. But I remember the man with caps for sale like yesterday. Oh yes, memories, I grew up with all of the little golden books and then my kids had some of them. Dr. Seuss is always great! One of my favorite children’s books is Room on the Broom! My kids love it too. We also love Skippy Jon Jones books. I haven’t read Room on the Broom, but it looks so cute! Thanks for this opportunity! We love reading to our three boys. My 4 year old would love these books! She loves storytime! I’m glad to hear she loves storytime! Good luck! My favorite children’s book is Chicken Soup with Rice. Loved it when I was young and read it to my kids, need to get it for my granddaughter. She’s still in the board book stage but I have a lot of books put up for her, mostly Dr Seuss. Board books were a great invention weren’t they? She will be enjoying the books you have for her before you know it! I remember that book, but I haven’t read it in years. I should get it for my grandchildren! Love some of these books. We have read some of them at the library. 🙂 Thanks for the chance! Dr. Suess is an overwhelming favorite of readers. What a talent he possessed! Dr. Seuss books, and look and find Disney. I have two of the Disney look and finds for my grandchildren. We have fun with them! My favorite children’s book to read to my kids is the Very Hungry Caterpillar. Well, they practically read it to me now but still my favorite! What a classic! Can they read or have they memorized it? Our son had “Are You My Mother” memorized word for word when he was little. My son loves any and every dinosaur book at the moment!! Aw yes, little boys and their dinosaur love! I have to get those books! We love reading!!! I’m glad to hear you love reading! Good luck to you! I think you would enjoy the first three books in the giveaway about a mother’s love! My daughter’s all-time favorite book is Silly Sally. Cute book! I love to read in rhymes! My all time favorite was/is Green Eggs & Ham. A close second is Tikki Tikki Tembo. I remember having so much fun reading them in school! How many actual green eggs and ham have actually been made in honor of this classic!! Actually Caps for Sale was my favorite when I was little. Two more for my “to read to grandkids” list! Thank you for sharing them! Corduroy is one of my favorites from when i was growing up, and reading to my son has introduced me to many more…the skippyjonjones books are hilarious. Corduroy is so cute and Skippyjon Jones is outright fun to read! My grandchildrens favorite books are every one of the Dr. Seuss books! They love looking at any book and look forward to having one read to them. I don’t think Dr. Seuss will ever fall out of favor! What wit and talent! Another one I’m not familiar with! I have lots of reading to do to catch up with all of the recommendations! I’m glad they love to be read to. Have you read “Goodnight Gorilla”? My grandkids like it too! My daughter and I love the book Guess how much I love you. My little guys love reading! They love dr Seuss books, touch and feel books, transportation books, and more! Thank you for the opportunity! You’re welcome! My grandson loves transportation books too! I haven’t read it yet, but this is the second recommendation, so I will be looking for it! We have lots of favorites! We just read a cute book about friendship titled, “Peanut Butter & Cupcake.” It was adorable! Another one added to my list! My granddaughter loves cupcakes! Right now my son is obsessed with reading Dr. Seuss and Eric Carle books. My favorite is Blueberries For Sal. Love it! I haven’t read it, so I went to Amazon to see what it’s about. It looks really good, I’m putting it on my “to read to grandkids” list! We love the Pout-Pout Fish books! I have to admit, I do too! I didn’t know Ree Drummond wrote a book – the kids love to participate in the cooking at our house – and who doesn’t love The Pioneer Woman’s recipes! I didn’t know she did either! There are a number of the Charlie books. Talented lady, isn’t she! I wish you the best of luck in the giveaway! Would love to win these books for my twins!! Twins, how special! Good luck to you! My favorite book is Betsy, Tacy, & Tib. I don’t remember exactly what it’s about but as a kid I remember reading it over and over, a much as possible, throughout grade school. I wasn’t familiar with these books, so I looked them up on Amazon. They do look like books little girls would like! I haven’t had the pleasure of reading those books yet, but my grandchildren will be old enough before I know it! Where the wild things are is my son’s favorite. I just bought that recently to read to my grandchildren. They enjoyed it too! I Need My Monster is a favorite right now. That looks so cute and something my granddaughter would love! One of the classic Little Golden Books! I loved Beatrix Potter as a child! My granddaughters love to have their Mimi and Papa read to them. And I’m sure you love having the opportunity to read to them! We have a few of the Little Blue Truck series. Our grandson loves them! My girls love all of the Charlie the Ranch dog books! We also love all of the gosling books by Olivier Dunrea (Boo Boo is currently my 1 yr olds favorite). I’m going to have to read more of the Charlie books. The little gosling books are so cute! We like all of the Dr. Suess books, and I enjoy the book Strega Nona and “I’ll Always Love You” by Hans Wilhelm. Dr. Seuss books are much loved! “I’ll Always Love You” is such a touching little book. My favorite children’s books are all of the Dr. Suess and Shel Silverstein books,The Five Chinese Brothers, Alexander and the Terrible, Horrible, No Good, Very Bad Day, and The Borrowers. Someone else just mentioned Shel Silverstein’s books. I hadn’t read any of his since my kids were little. Good reminder! These all look like amazing books! I love books, especially children’s books, but the Berenstain Bears are a favorite. We have most of the Berenstain Bears books from when our youngest was a child. Now the grandkids like them. My favorite children’s book is Good Night Moon. That is a very popular favorite! My favorite is ‘I Love You Stinky Face’, its super cute and funny 🙂 My sons enjoys it so much!! You might enjoy the first 3 books in this giveaway as well; all about a mother’s love! My kids love Corduroy, Llama Llama books, and anything with princesses. Really, whatever books we check out at the library each week are their new favorites, and I can almost count on them asking, “Will you read it again?” as soon as I finish the last page! I’m sorry, I read the statement three times before posting, and I thought it said to tell “your children’s favorite books.” My favorite books are the ones like “Mama, How Long Will You Love Me?” by Anna Pignataro. They all melt my heart and make my eyes leak. That’s alright; I love hearing about your likes and your children’s! The Giving Tree is my all-time favorite! My grandkids likes the Disney books. Thank you for the entry. I agree, how can you not love Charlotte’s Web! I’m hearing about so many wonderful kids books! This one looks really cute! My granddaughter loves the Pout Pout Fish books – and, yes they are one of my favorites to read to her! I really enjoy reading them too; love the pictures. My grandchildren love Halloween books – we read them all year long!! That sounds strangely familiar to my granddaughter! My favorite children’s book was the hungry caterpillar. I also enjoyed other Eric Carle books. I love ‘happy to be nappy’. It so spot on for my girls. “Hair for hands to touch and play”. My granddaughter never wants me to fix her hair. Cute book! I love reading Splat the Cat books to my daughter and hearing her laugh. I haven’t read them; so I’ll add yet another to my list! My favorite book is Tom Sawyer. My 2 year old currently loves the Karen Katz lift the flap books. It seems that all toddlers like the lift the flap books! So many favorites, but I’ll choose The Poky Little Puppy since all 4 of my girls, all of my nieces and nephews and now my grandsons love it so much. Very cute Little Golden Book. What a wonderful collection of children’s books. We LOVE Caps for Sale – such a classic. Tree looks beautiful – I haven’t read that one yet, I’ll have to check it out. I’m in Canada so I can’t enter your giveaway but thanks for sharing! Thank you for stopping by and commenting! I read your time management post on “How to Get More Blogging Done”. Very good! I am not sure I can pick one favorite children’s book! We love so many. I enjoy reading Tilman’s book such as On the Night you were Born. Peanut butter and Cupcake and Read to Tiger are big hits at the moment . I know, there are so many it’s difficult to pick. We love Dr.Seuss books, Guess How Much I Love You, Goodnight Moon and many more. My 4 grandchildren love books! Thank you for the chance to win some for them! My grandson likes train and truck books, so we also have the Little Train That Could. I love most all books!!!! We are huge book readers over here, we usually end up donating books to the local school!! 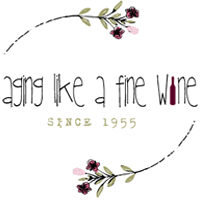 I am still so excited about this giveaway, I am a grandmother now my grandson just turned one, and it’s still fun going book shopping, all the new books and old classics, I always get jazzed!! Thank you again for this amazing giveaway! Being a grandmother is amazing isn’t it! Good luck in the giveaway! I had just bought my three year old grandson some new books for his birthday last month and for Easter. Grandma read all of them to him at least three times while she was there for three days. I remember one of the books being about a robot, he loved all of those books! Children like consistency, don’t they! Reading the same book over and over or watching the same movie, suits them fine! I love Are You My Mother? and the Llama Llama series! My son had Are You My Mother memorized word for word. Cute book! We love the Ivy and Bean book series. Of course we’ve yet to meet a book we wouldn’t try. I just looked those up because I wasn’t familiar with them. They look like good books! Thank you so much for stopping by. Best of luck in the giveaway! Ok, thanks and good luck!